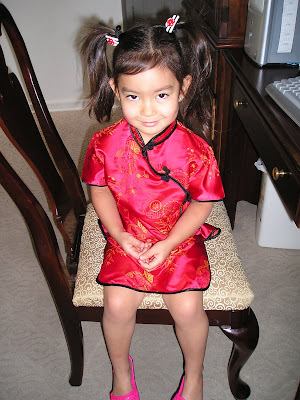 Our princess wanted to have a tea party with with her brother the other day so I dressed her up like a little chinese. 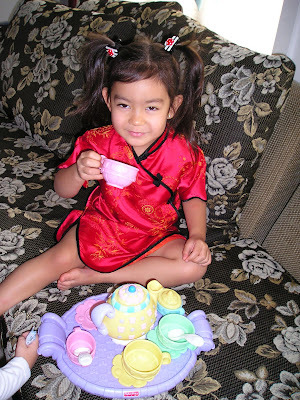 They had so much fun drinking tea, yup they really put tea in their tea cups hehehe.. Iced tea not hot. 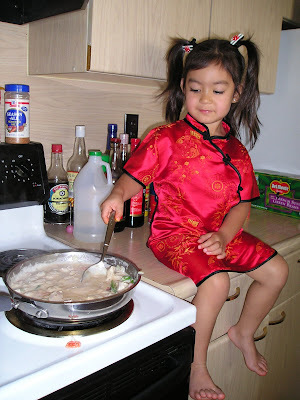 Here's my Chinese little lady cooking the spicy bicol express! 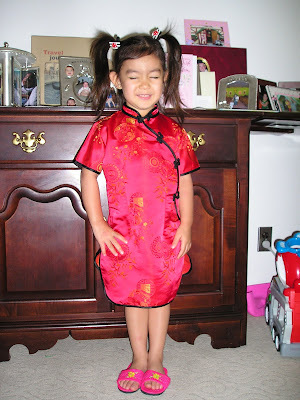 Goodnyt everyone!